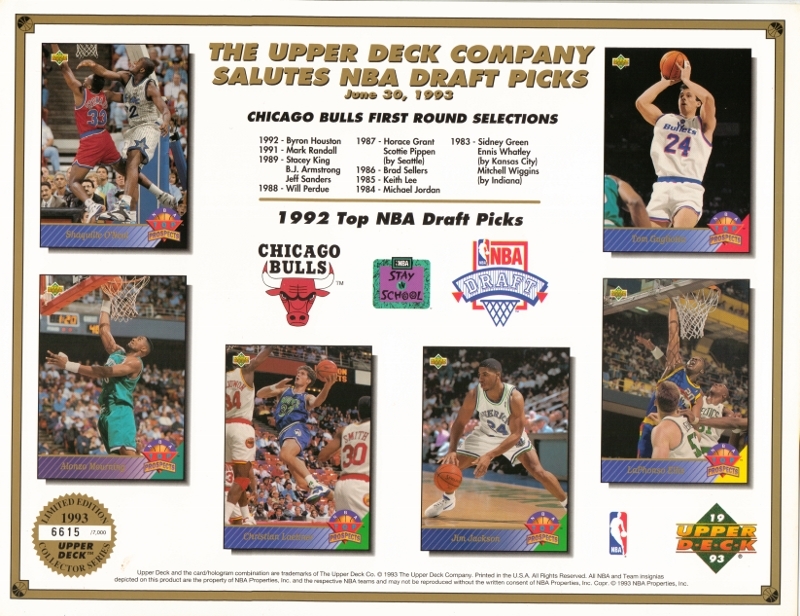 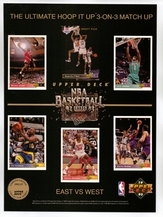 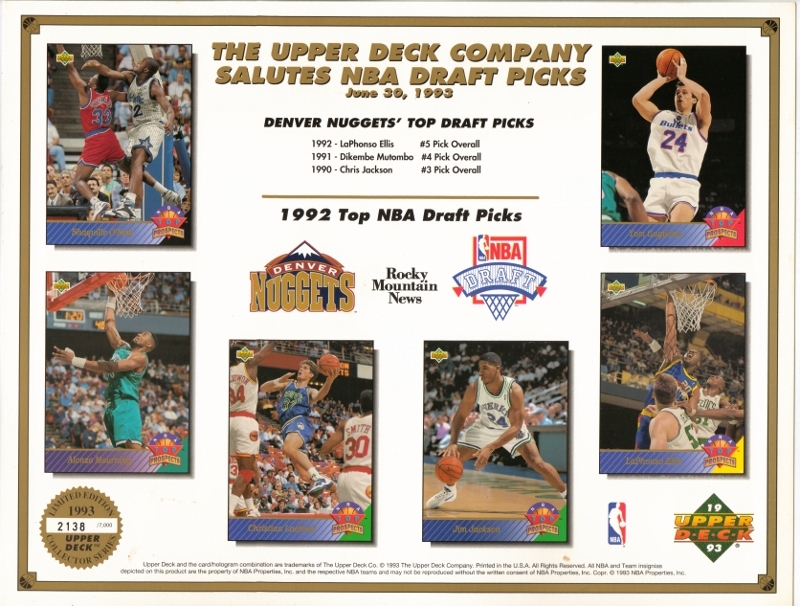 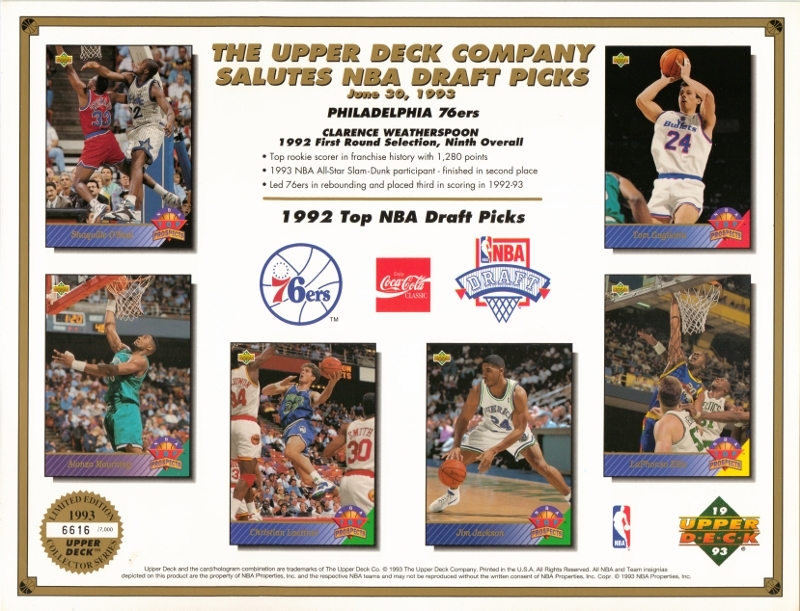 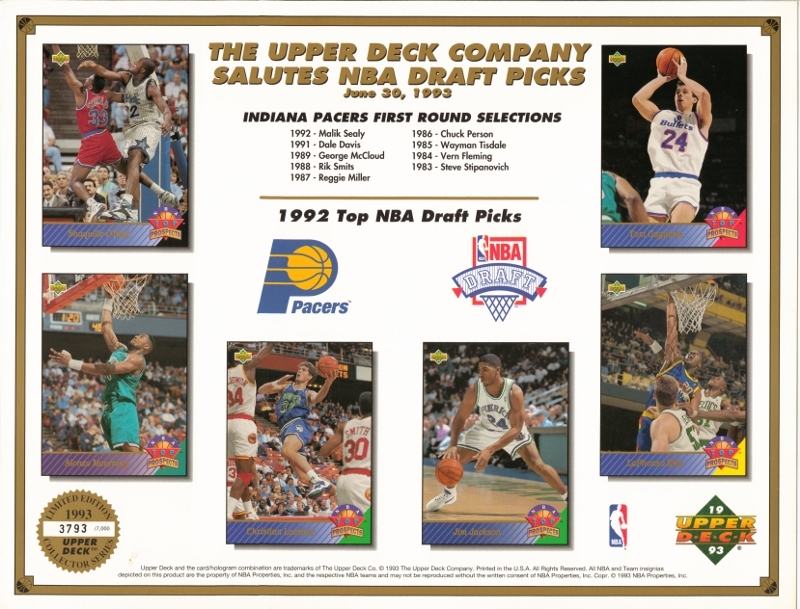 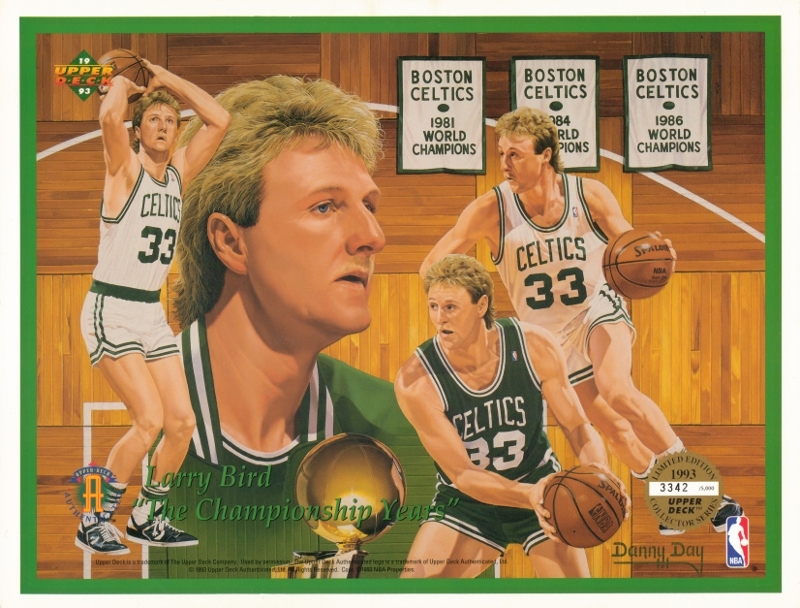 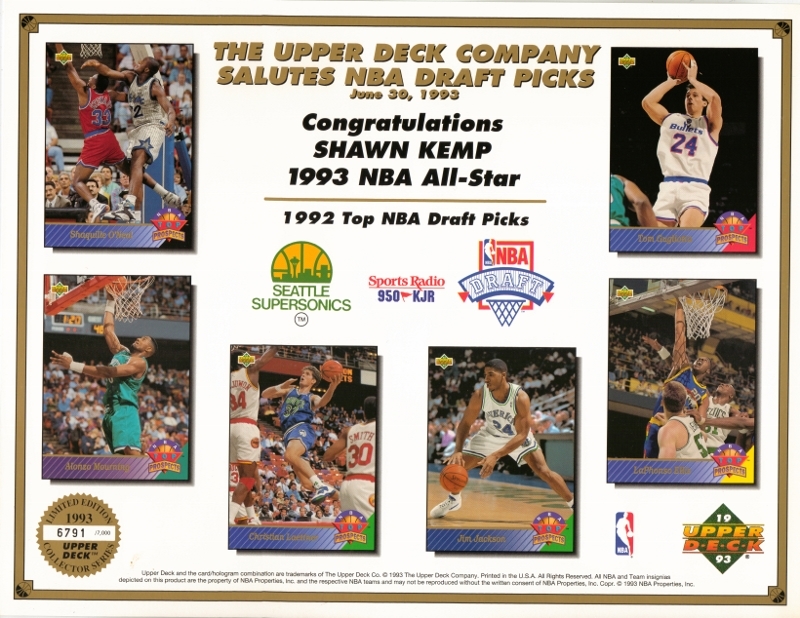 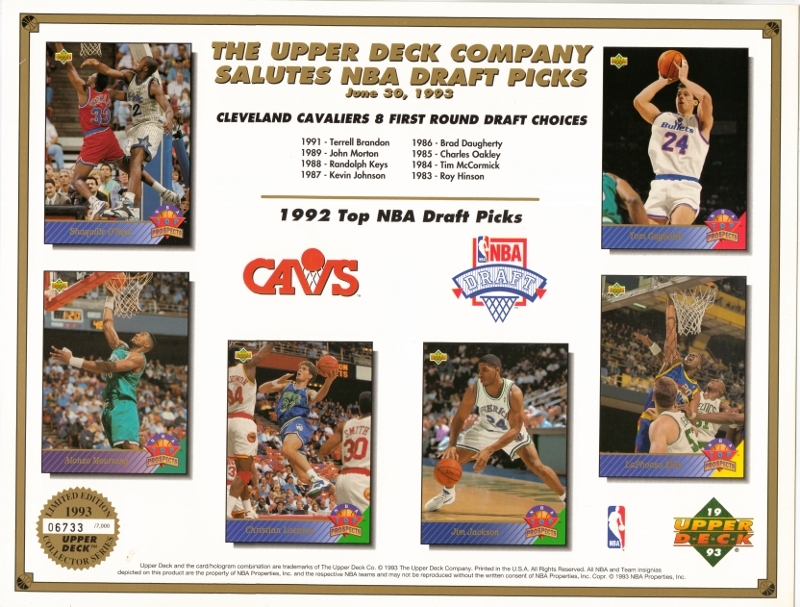 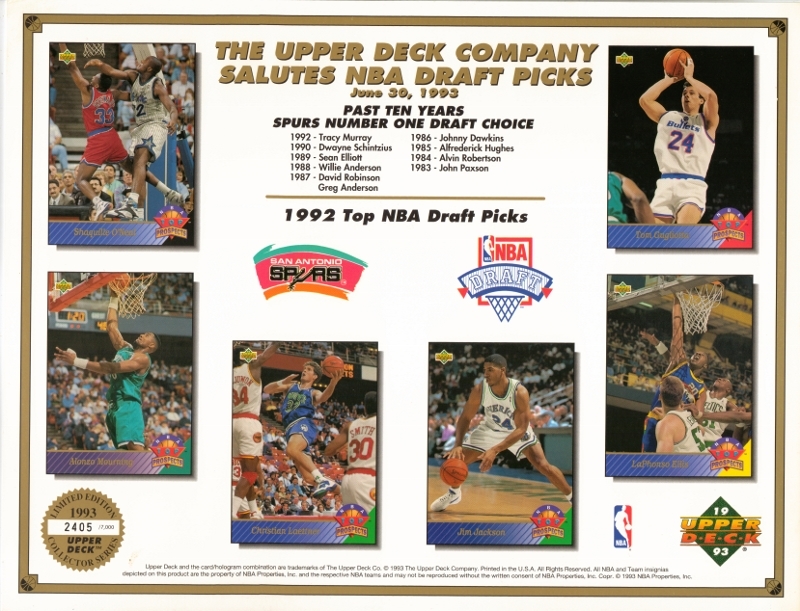 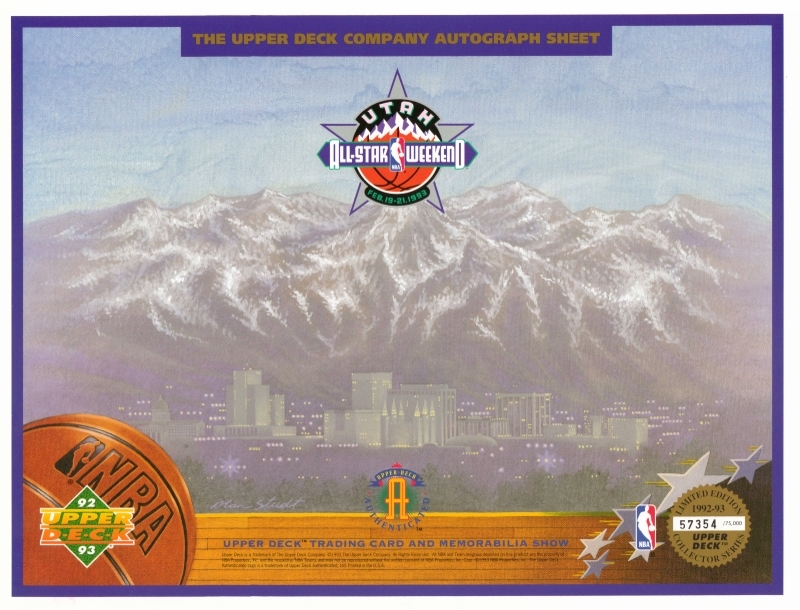 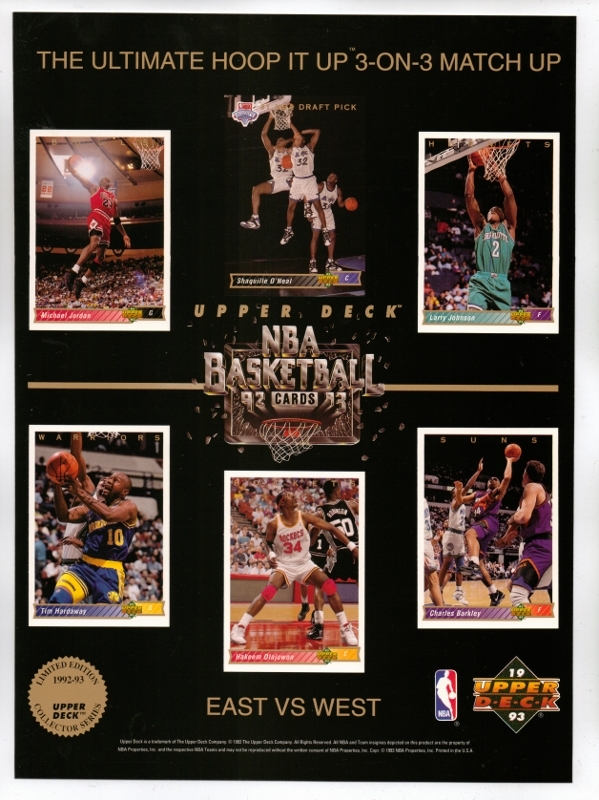 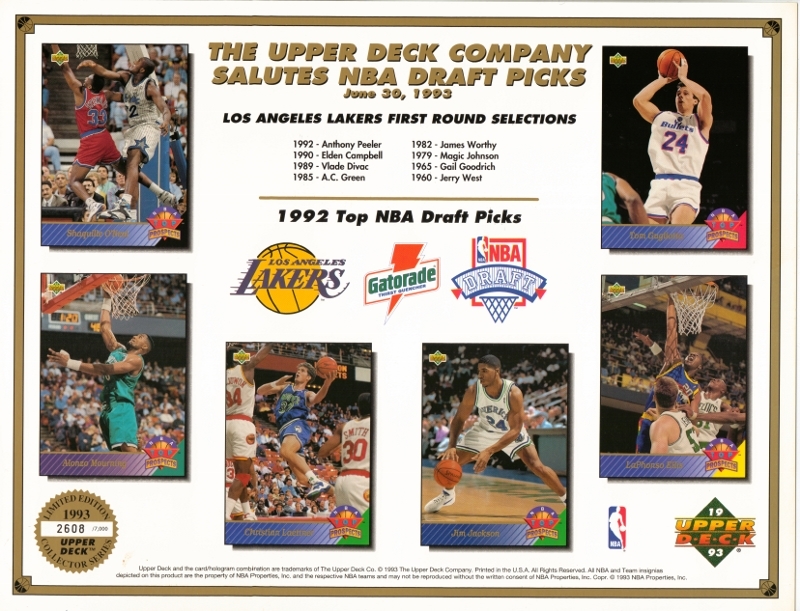 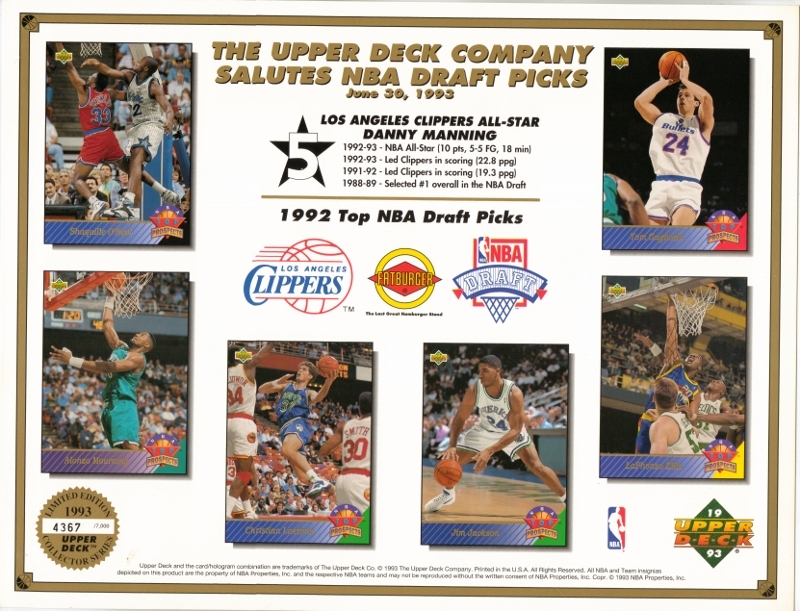 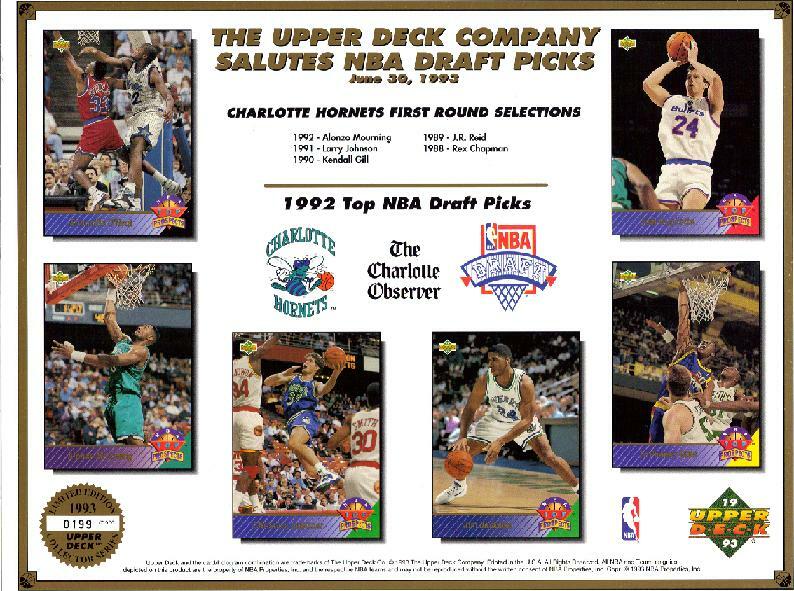 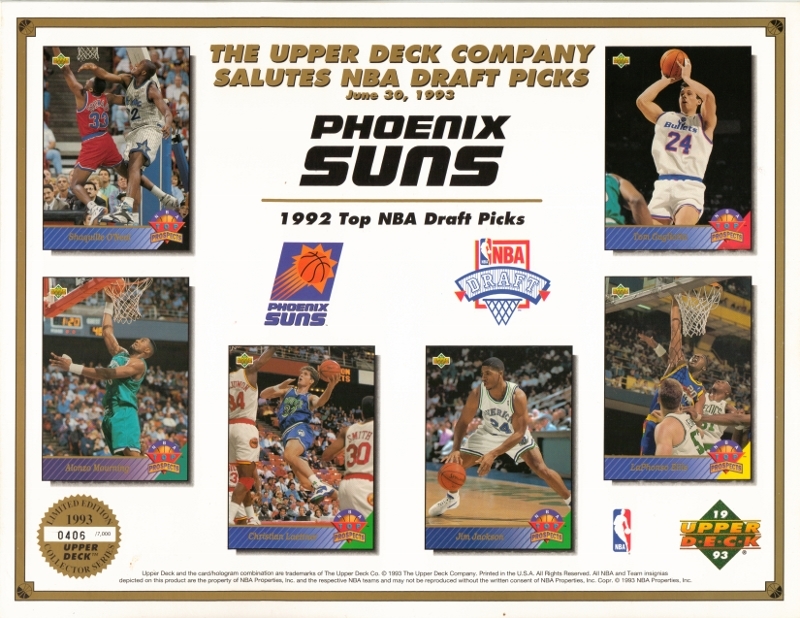 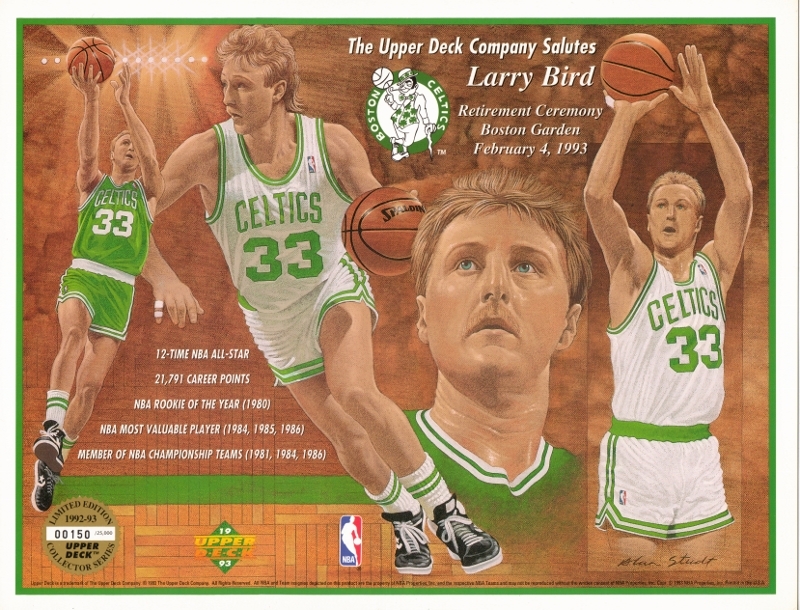 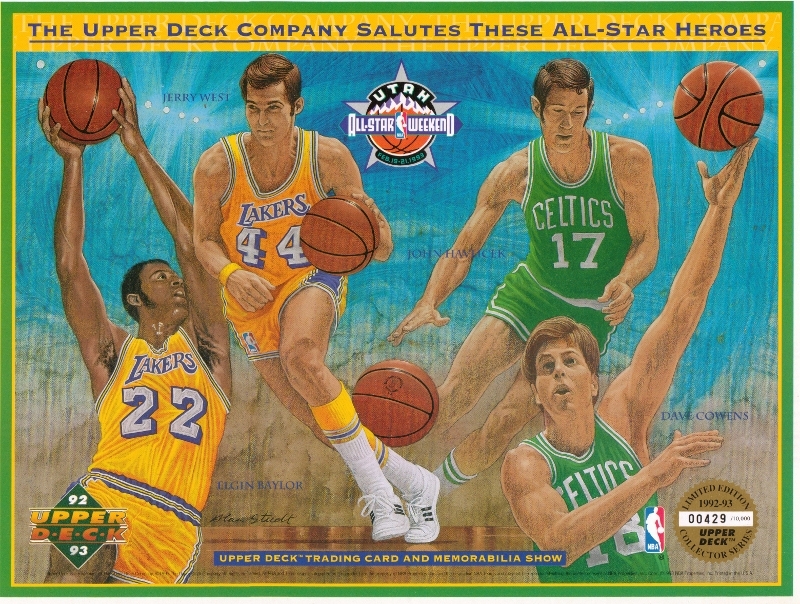 For 1993 Upper Deck produced twenty eight NBA draft sheets. 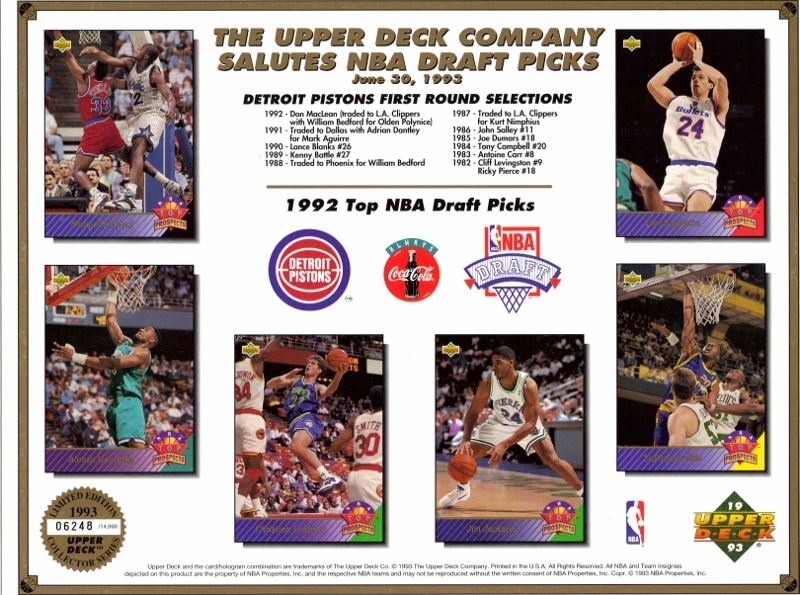 They were given out June 30th at each of the stadiums listed below and all but one is numbered to 7,000 (Pistons main draft sheet). 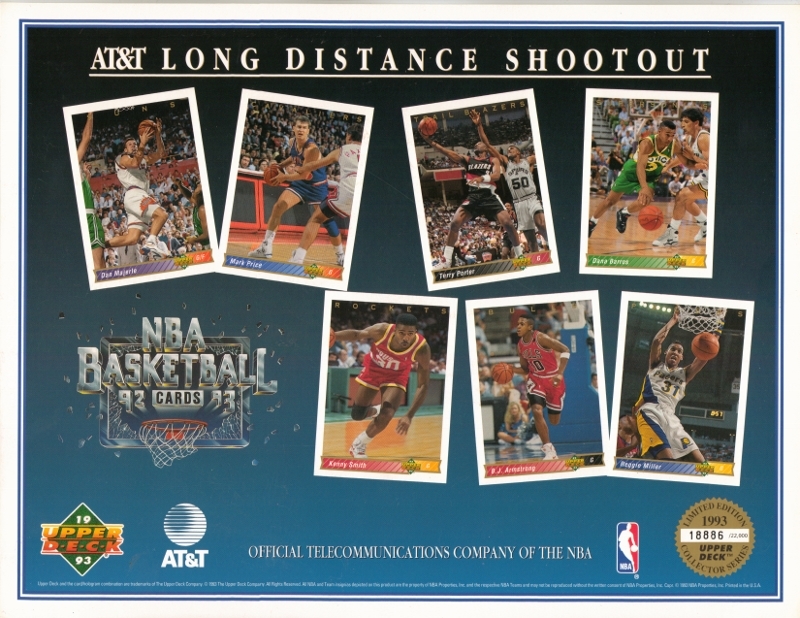 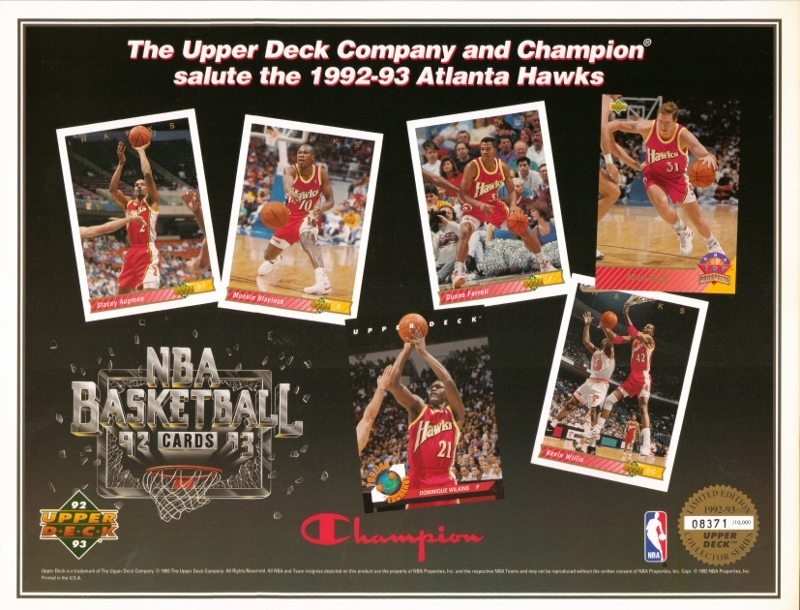 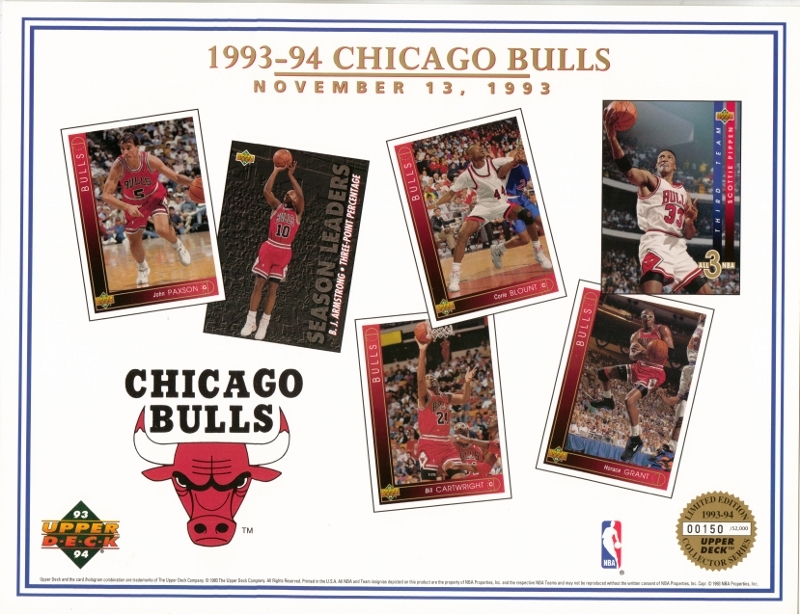 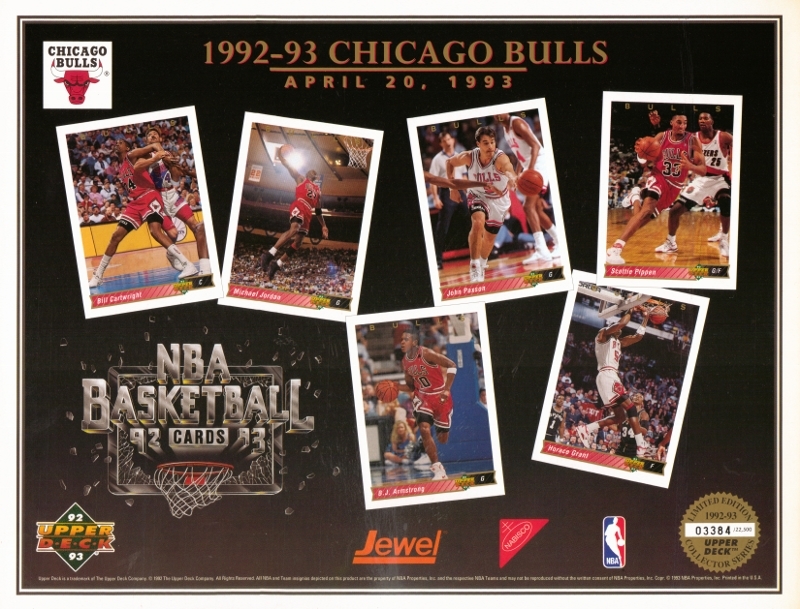 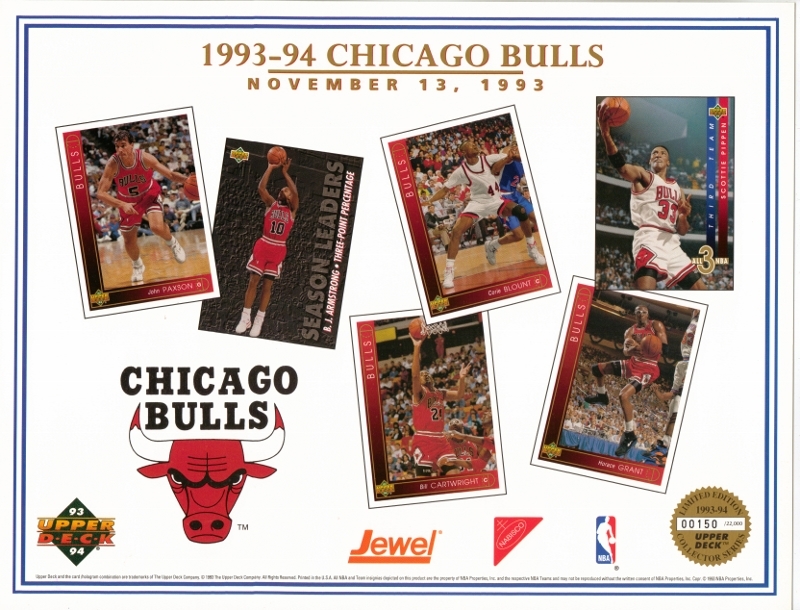 Pictured on each sheet is Shaquille O'Neal, Alonzo Mourning, Christian Laettner, Jim Jackson, LaPhonso Ellis and Tom Gugliotta. 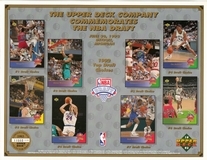 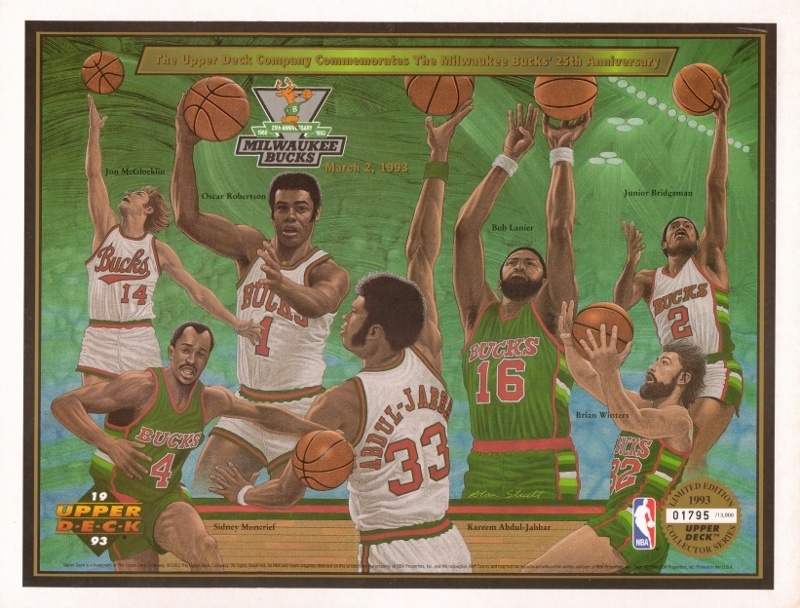 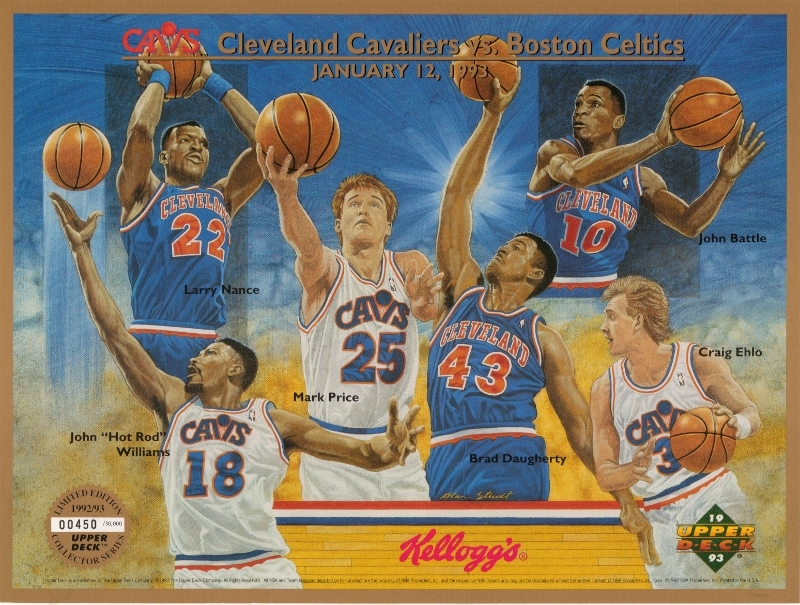 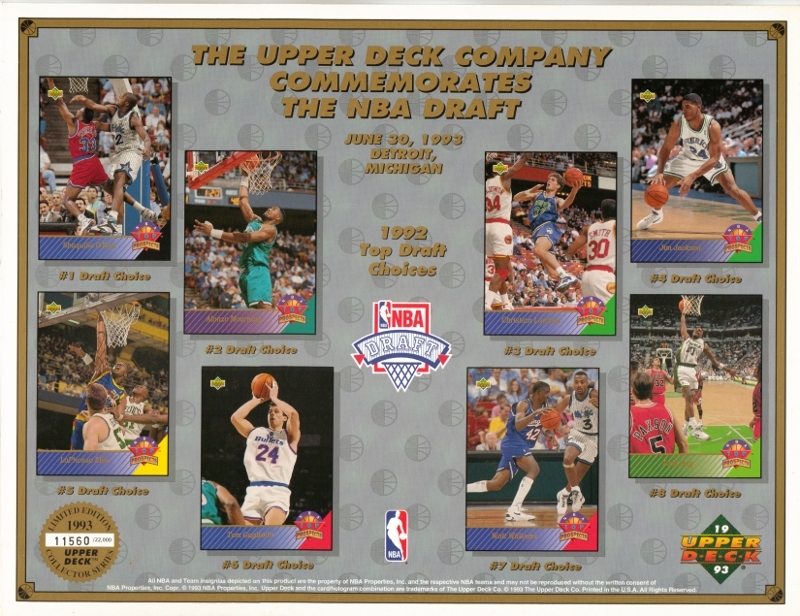 The Pistons Main Draft also has Wilt Williams and Todd Day pictured on it and this sheet is numbered to 22,000.